Your Cadets are getting treated with a Big Screen Party in Mitchell Hall as well as Party Time in Haps today for those Cadets 21 and older. 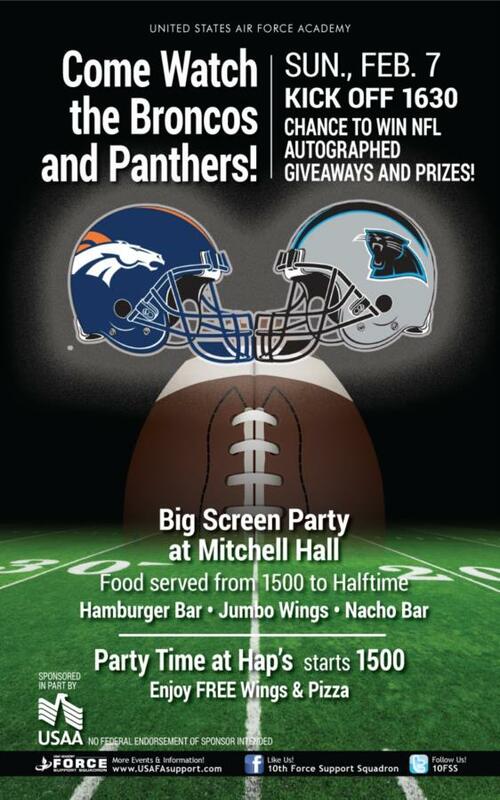 Super Bowl 50 Broncos vs Panthers is almost upon us. The countdown is now under an hour till the game. We hope you all have a good time watching it, where ever you are!